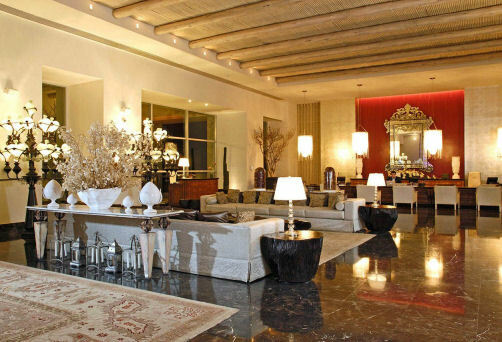 The Grand Mayan Cabos - Los Cabos , Mexico - Buy a 7 Night Stay in a Grand Master Room! 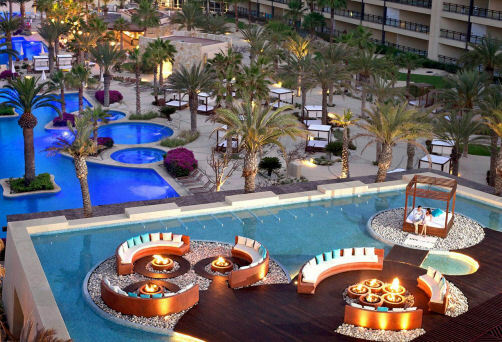 Enjoy 7 Nights at The Grand Mayan Cabos in Los Cabos, Mexico! Due to contract restrictions Mexican Residents are not permitted to use this offer. Welcome to a breathtaking peninsula where resort luxury intersects with a dramatic natural setting. 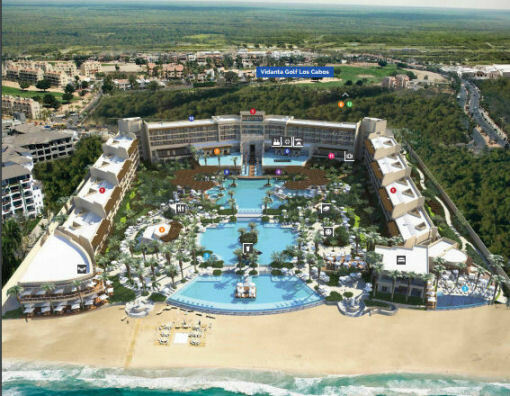 This is The Grand Mayan Cabos. Boasting expansive pools, gourmet dining experiences, and activities for all ages, this secluded destination offers the most in resort vacationing. Additionally, just minutes from the resort, you’ll find one of the world’s most exclusive shopping districts and other off-site excursions. 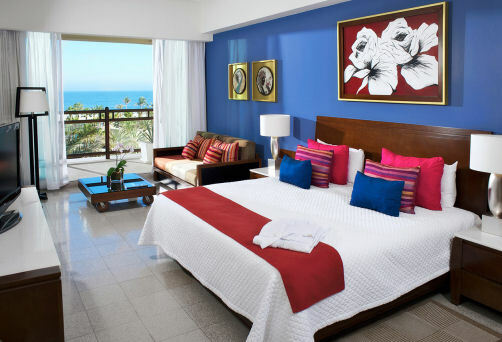 Located at the southern tip of the Baja Peninsula in Los Cabos, this enchanted retreat boasts an endless variety of activities with the perfect blend of intimacy and relaxation. It features a full-service, world-class health spa with beauty treatments, sauna, steam room, Jacuzzi, and fitness complex; plus a clubhouse with nine hole, par 35 golf course. You’ll love the large reflection pool that leads to a pristine golden beach; and fine international restaurants. 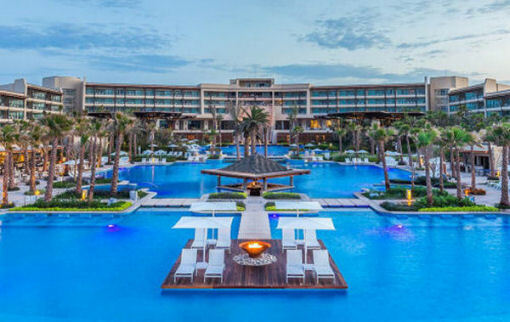 The Grand Mayan Los Cabos features a full selection of entertainment, shows, sports, classes, fitness activities, and a variety of other ways for you and your family to discover your happiness. 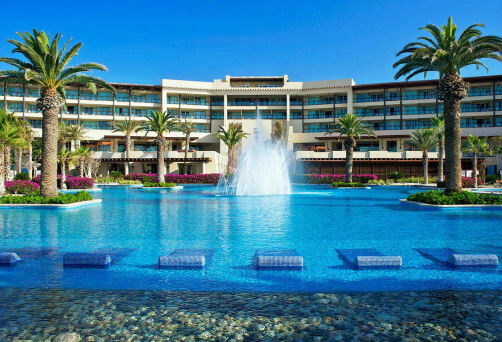 Events and activities at this gorgeous destination include the brand-new Pool Bike exercise experience, beach volleyball, karaoke, live Cuban music at Café Havana, dinner shows like Fiesta Mexicana, and piñata-making and other crafts for the youngest members of your family at the Kid’s Club. The Grand Master Room features a king-size bed, one bathroom with Jacuzzi tub, LCD television, and terrace with a view.